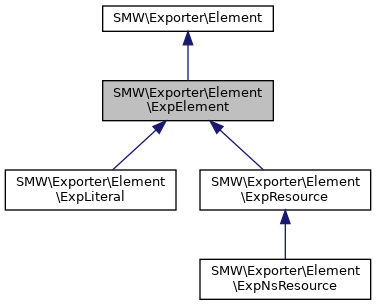 ExpElement is a class for representing single elements that appear in exported data, such as individual resources, data literals, or blank nodes. A single element for export, e.g. a data literal, instance name, or blank node. This abstract base class declares the basic common functionality of export elements (which is not much, really). This class should not be instantiated directly. Get a DataItem object that represents the contents of this export element in SMW, or null if no such data item could be found.